Nowadays there is an urgent need for improved mobile security features for the banking industry. A lot of mobile payment solutions don’t fulfil requirements for mobile security because they have not been optimized for mobile devices. It requires significant resource and investment to be enhanced and do not expose the vulnerability of the system. Akurateco brings an ultimate security solution to provide trusted mobile transactions. 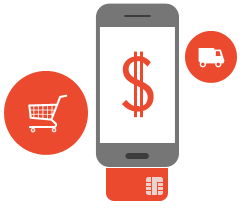 Our solution is highly scalable and interoperable mobile payment platform. Financial institutions can occupy a better position in the market by offering superlative transaction performance and complete mobile transaction security.